Strategy is one of the most important components of any project, but it is especially important for the success of entrepreneurs in the business world. In order to reach a goal, a clear and efficient strategy must be implemented for the process, ensuring the systematic and productive advancement toward the ultimate outcome. Marketing, which is vital work for any company, is a good example of an area in which having a good strategy is crucial, and part of that strategy for many firms should be B2B email marketing. For those who are not yet familiar with the concept, “B2B” means “business to business,” and it represents any transaction between two companies. Today, B2B email marketing strategy is the reason for the success and advancement of numerous companies. Marketing experts state that email is one of the rising and most stable means of marketing, and in the long term, it offers significant ROI (return on investment) to its users. This means that a business that invests money in email marketing often gets its investment and more back from this strategy. Experts recommend it, users compliment it, and naysayers definitely regret it. So what is B2B email marketing, and how does it work? Generally, email marketing is used for promoting the services or products of your business to a specific or general customer group via email. In this type of email marketing, companies focus more on their clients' priorities and demands. But with business-to-business email marketing strategy, the focus of a company's efforts is another company or business rather than a consumer, and so the style, content, and goals of the emails must be planned accordingly. According to data provided by Experian, email marketing returns almost $45 for every $1 spent on it in the United States. This means your investment in email marketing will come back to you almost 45-fold! This is why many entrepreneurs say that email marketing, whether B2B or B2C (business to customer), is the backbone of their businesses. In addition, almost all customers in America prefer receiving information via email. This is another advantage as well. 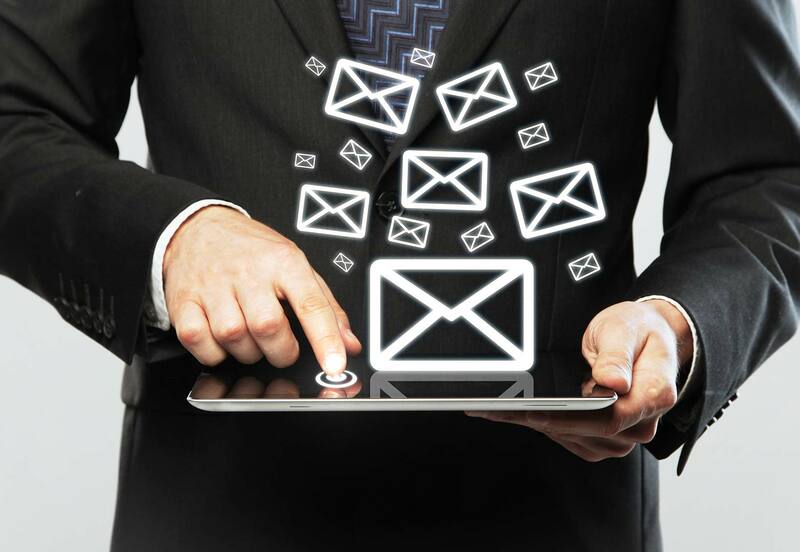 Email is a clean, easy-to-distribute way of marketing. The importance of email marketing in the United States is better illustrated by an article by Mathew Sweezey written for ClickZ. Sweezey spent almost a year studying the most progressive B2B companies in America, and he found that almost all of them used email marketing and the ones who did so saw a more than 100 percent increase in business. Sweezey added that more than half of the Fortune 500 companies in America use automated processes to send email, which is an easier and stable way of corresponding, so that these very successful businesses never miss sending emails to their partners or customers. Now that we see how crucial email marketing is, especially for B2B promotions, it is time to implement this secret for our business and prosper. However, that is not that easy. As with B2C emails, companies should be very careful with their B2B promotional emails. Of course, there are many ways to make your B2B marketing emails work, but there are vital steps to take in order to increase your ROIs as high as the above statistics. Your emails must be clear and to the point, and more importantly, they should have a goal. Also, aim to be online throughout the day so that you are easy to reach and available to your correspondents. As mentioned above, you may use automation to make this simpler. Being accessible and live all of the time will build trust between you and your correspondents, whether they are businesses or consumers. After examining the statistics, it's clear that entrepreneurs who still do not use B2B email marketing are losing out. Try it and you will not regret your investment.